Nikolay Zvyagintsev was born in 1967 in Moscow. He graduated from the Moscow Architectural Institute. Zvyagintsev worked as an architect-restorer for several years, than left architecture for advertising, where he has worked for the last fifteen years. At present Zvyagintsev is the chief art director in an international advertizing agency. 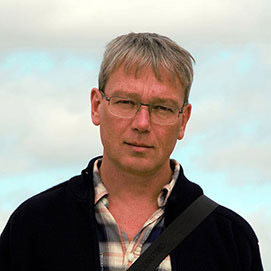 Nikolay Zvyagintsev became a member of the “Poluostrov” (“Peninsula”) group, together with Igor Sid, Maria Maksimova, and Mikhail Laptev at the beginning of the 1990s and participated in Bosporus forums on contemporary art and culture (1993-1995). Zvyagintsev’s poems were first published late 1991 in “Russian Courier” newspaper. Since that time he has published poetry in numerous newspapers, magazines and almanacs. Zvyagintsev has seven published books of poetry including Спинка пьющего из лужи (The Spine of the One Who’s Drinking from a Puddle, 1993), Законная область притворства (The Legal Terrain of Hypocrisy, 1996), Крым НЗ (Crimea ES, 2001), Туц (Toots, 2008), and Все пассажиры (All the Passengers, 2017). Poems by Nikolay Zvyagintsev were translated into English (Essays in poetics, 1994), French (Lettres Russes, 2003), Ukrainian, German, Spanish, Romanian, and Estonian. Zvyagintsev was shortlisted for the 2008 Andrei Bely Award for his collection of poems, Toots.